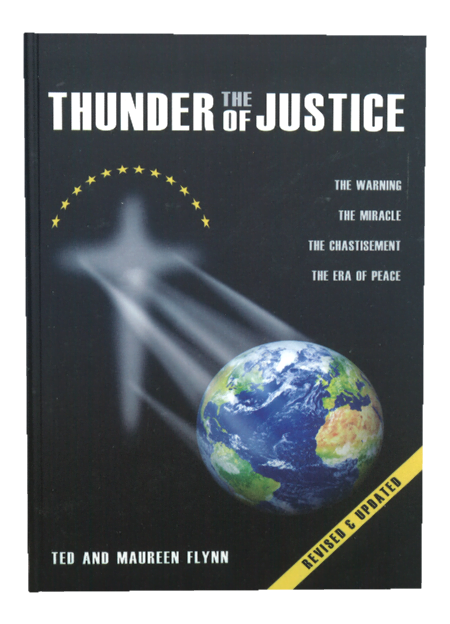 A completely revised and updated edition of the International blockbyster by Ted and Maureen Flynn: The Thunder of Justice: The Warning, The Miracle, The Chastisement, & The Era of Peace Just released! Find out about: * The Third Secret of Fatima–What was revealed by the Church and what Heaven revealed in great detail about the unrevealed words of the 4th Memoir of Sister Lucy. *La Salette–The 1879 Escatological version of Leece, Italy and the recently discovered original messages of La Salette which had been lost in the Vatican Archives. *Kibeho, Rwanda–A prophecy come true. Recently approved by the local church and the Vatican. 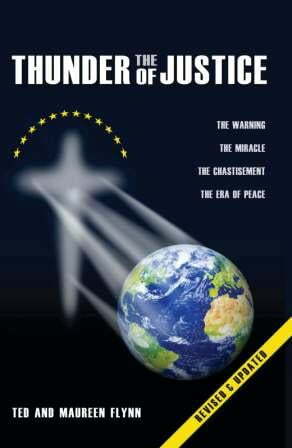 *The New World Order–Satan’s Last Gasp: Luciferian Geo-politics, globalization, and the new proposed global economic system. *Masters of the Universe–How despots rise to power. The master plan. A Norther American Union, the Bilderbergers, the Council on Foreign Relations, secret societies, and their agenda for control. *The Remedy for All Families–Heaven’s clear sure fire answer for family security and peace in troubled times. *Garabandal–The Warning, The Great Miracle, & The Permanent Sign. Saint Pio and Blessed Mother Teresa believed in Garabandal. *The Worldwide Warning–The Illumination of the Soul *Purifications and Scriptural precedents–The Three Days of Darkness and much, much more….